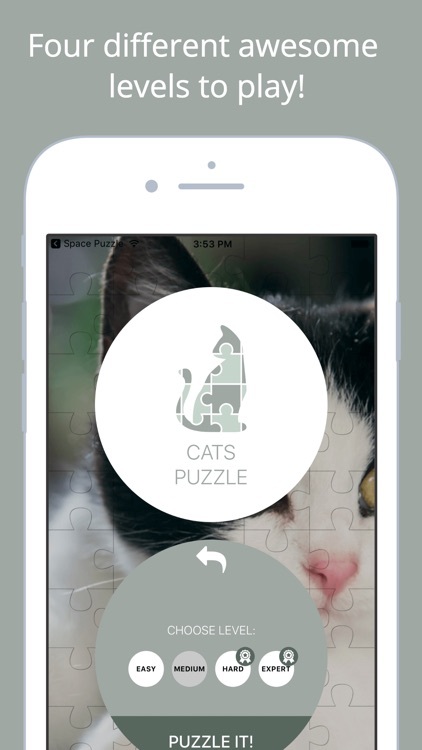 Welcome to Cats Puzzle, the best cats jigsaw puzzle game on the App Store. It is awesome to make a puzzle with the images of your favourite cats. Do a relaxed puzzle or play an exciting game if you prefer. You can choose from easy level (great for kids) to expert level (if you feel really inspired). Have a lot of fun and don't forget to share your puzzles and invite your friends and their kids to play! - Infinite puzzles! Stop waiting for new puzzle bundles or paying for bad zoo images. Build your jigsaws from our amazing list of wild and domestic cats and just play in your favourite game mode. - Explore all the amazing photos and play with your friends or children. 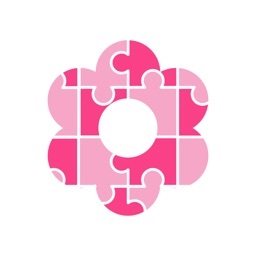 - Astonishing quality images leads to amazing puzzles. You can zoom in and out all the pieces to get a more detailed look. You just have to enjoy the journey of doing it. We care about the rest. 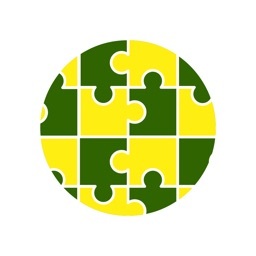 - Preview full screen photo while doing the jigsaw available. Don’t worry about forgetting how the photo was, you can always preview the full image. Easy (4 to 9 pieces) Have a lot of fun with your kids and let them play this easy level with their favourite flower photo. Kids love challenges. But having fun is essential. Let them play this easy level and they will have a lot of fun while training their little brains for bigger things. Medium (9 to 20 pieces) Don’t get impressed by the numbers. 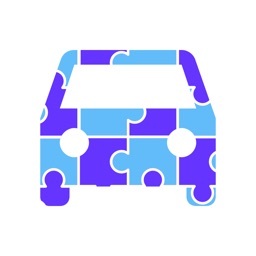 With some practice you and your kids can play easily this jigsaw level. Hard (20 to 50 pieces) This is not for everyone. With the correct amount of focus and practice you will build cats puzzles from this level with ease. Play it back and forth to achieve the super ability of puzzle maker. 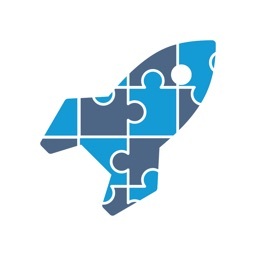 Expert (more than 50) Completing one jigsaw puzzle of this level will give you a boost of confidence and happiness. Doing a bunch of this expert level jigsaw puzzles will make you a master. Choose the cutest flower photo and play! - Take a coffee and just RELAX. 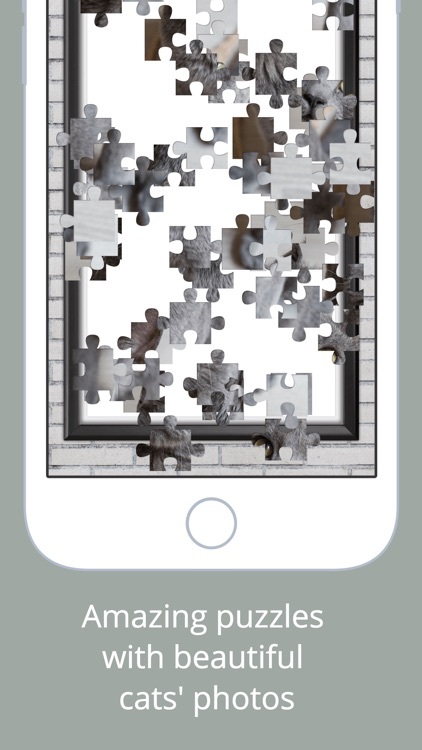 This mode will let you do the jigsaw at your own pace. Pick your favourite flower photo and start a new puzzle game to play. You can pause the game, save it and play it later. - Or better let’s play and exciting GAME. This game mode is amazing. Do your flower puzzles before the time catches you. You have to play smart. There are 10 levels to beat (for now) and each one solved will decrease the amount of time you have to solve the jigsaw. Extra focus and agility required. You won’t have time to hesitate. 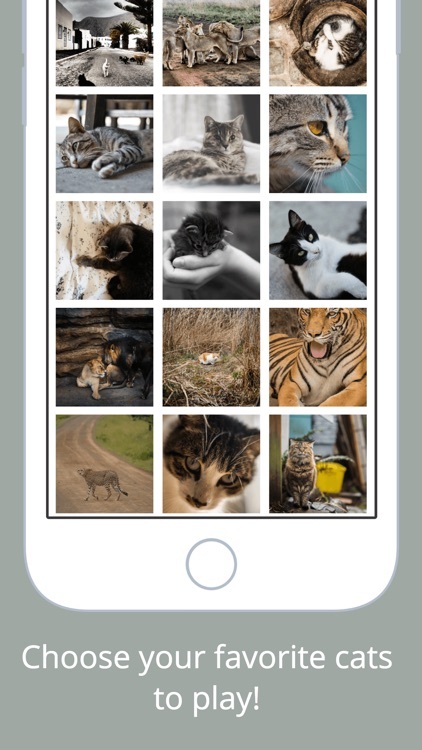 So challenge all your friends and people you know to an exciting cats puzzle competition sharing your results to Facebook and Instagram and inviting them to play. You and your kids will have so much fun. We are so excited with this game. Play it with your friends, family, kids or on your own. Children love jigsaws! It’s a perfect way to entertain yourself while commuting and in many different daily situations. Don’t let your friends beat you at the Expert level and play a little everyday to become more confident with your movements. And don’t forget to share every puzzle you do to Facebook and Instagram. 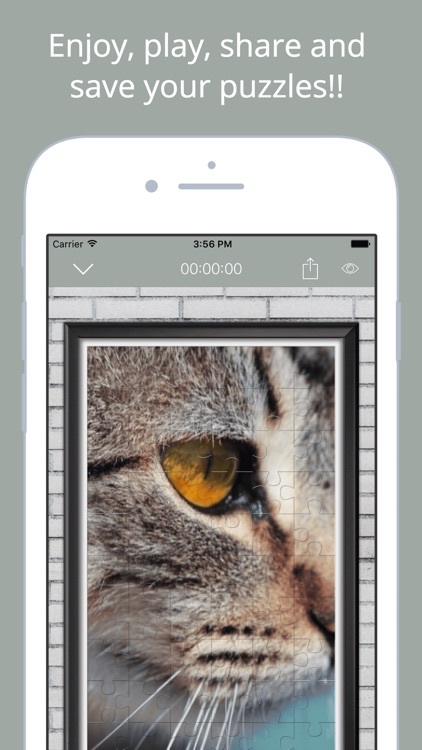 The final puzzle is rendered with a super stylish picture frame!! 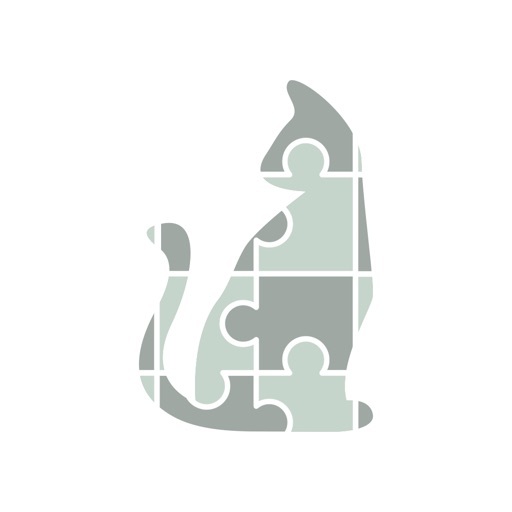 How many jigsaw cats puzzles have you tried and just uninstall because of the poor image quality? This is imposible in Cats Puzzle. 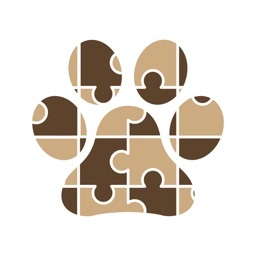 You choose the photo from our special images list to build the jigsaw!! 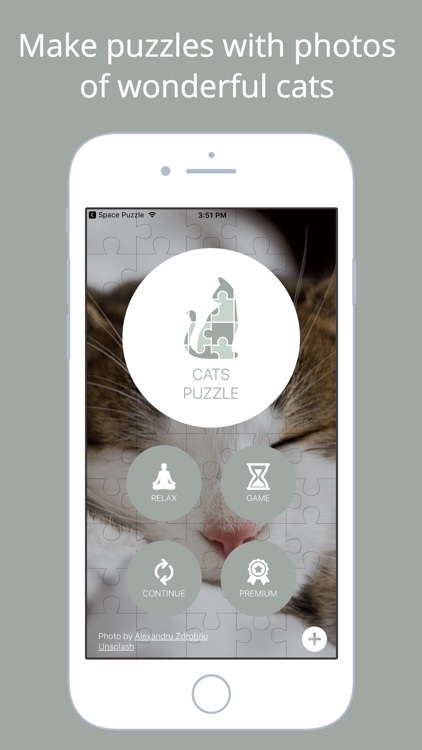 We hope you all enjoy Cats Puzzle, the best jigsaw puzzle game on the App Store. It is awesome to make a puzzle with the images of your favourite cats.